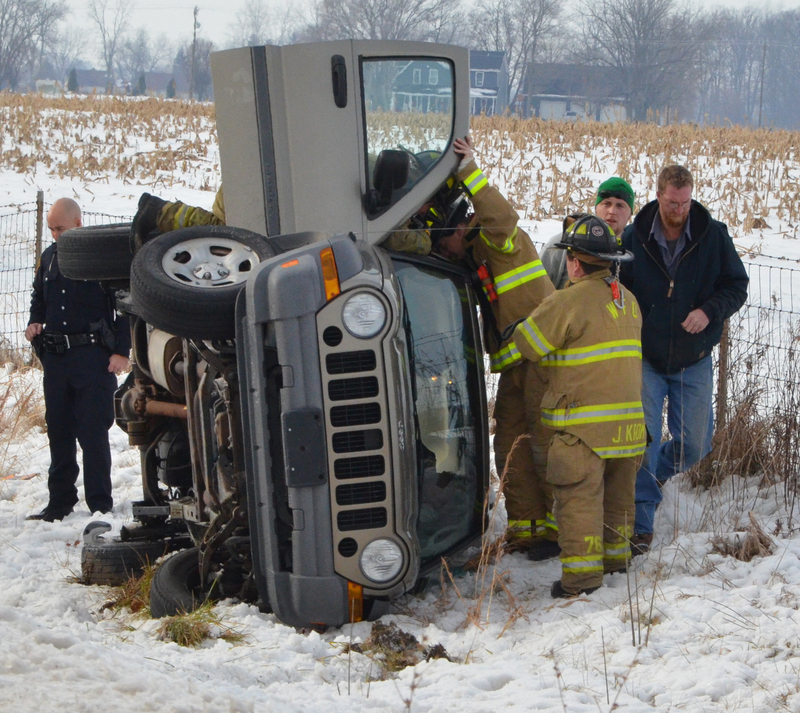 An Urbana man was injured Wednesday, Dec. 21, following a single-vehicle accident on U.S. 24. At around 1:30 p.m., a 2005 Jeep Liberty driven by Andrea M. Lee, 48, Urbana, was westbound on U.S. 24 in the passing lane when she went to pass another vehicle by merging into the driving lane. When Wabash High School’s Cheyenne King was in fifth grade, her teacher, Karen Vanderpool, encouraged her to apply for the Lilly Endowment Community Scholarship when she was a high school senior. Vanderpool told her that she stood a good chance at winning it. Seven years later, that prediction came true. On Wednesday, Dec. 14, Cheyenne King was notified she was Wabash County’s 2017 Lilly Endowment Community Scholarship winner. 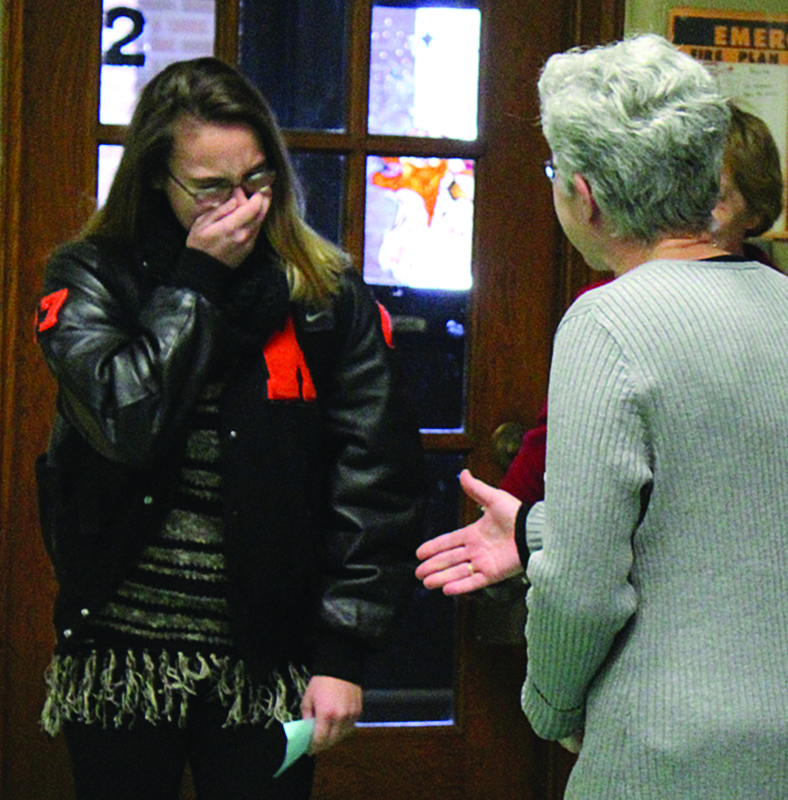 She received the news from Julie Garber, Community Foundation of Wabash County program director, who gathered with Cheyenne’s family in the Wabash High School conference room. She was lured to the conference room by WHS counselor Terry Nicely under the auspices of talking to her about her grades. The Wabash County Jail Committee explored design and funding options on Thursday, Dec. 15, concerning the possibility of constructing a new county jail in the future. The committee, which consisted of Commissioner Barry Eppley, Sheriff Robert Land and County Council members William Ruppel, Jeff Dawes and Kyle Bowman, received updates on the building programming, preliminary design and financing possibilities from DLZ Principal Architect Eric Ratts and Umbaugh Executive Partner Todd Samuelson. The Wabash Police Department has a new captain. Northfield Jr.-Sr. High School student Brenton Yarger received his honorary captain bars from Mayor Scott Long and Wabash Police Assistant Chief Bob Pilgrim during a brief ceremony prior to the start of the Shop With a Cop program on Saturday, Dec. 17. 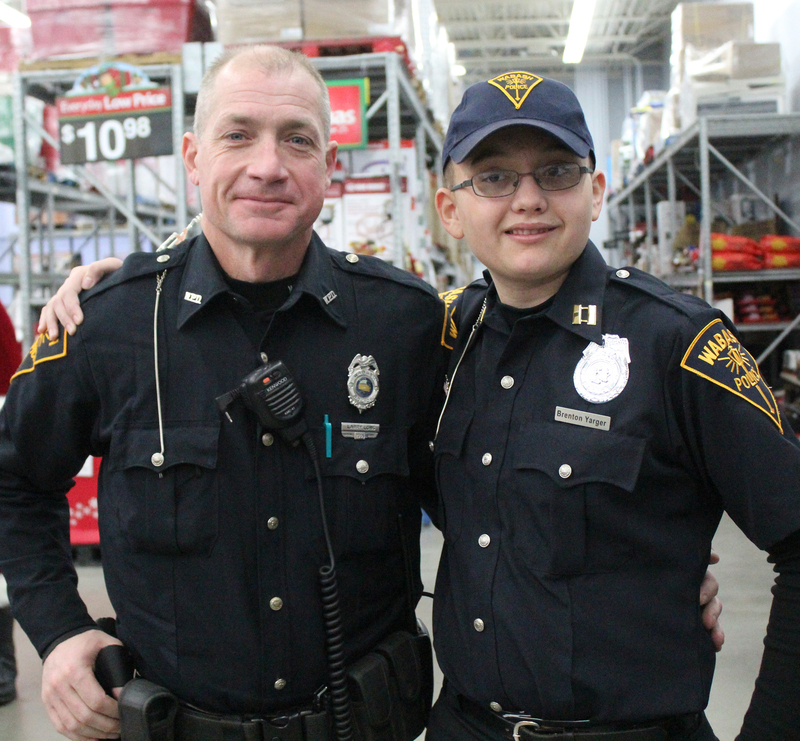 Brenton raised more than $9,500 for the Shop With a Cop program by standing outside of Walmart several weekends in October and November, dressed in his police uniform. He also recycled aluminum cans and other metals, and received donations from friends and family members. Brenton, during the ceremony, was rather subdued and, by his own admission, surprised by the gift. 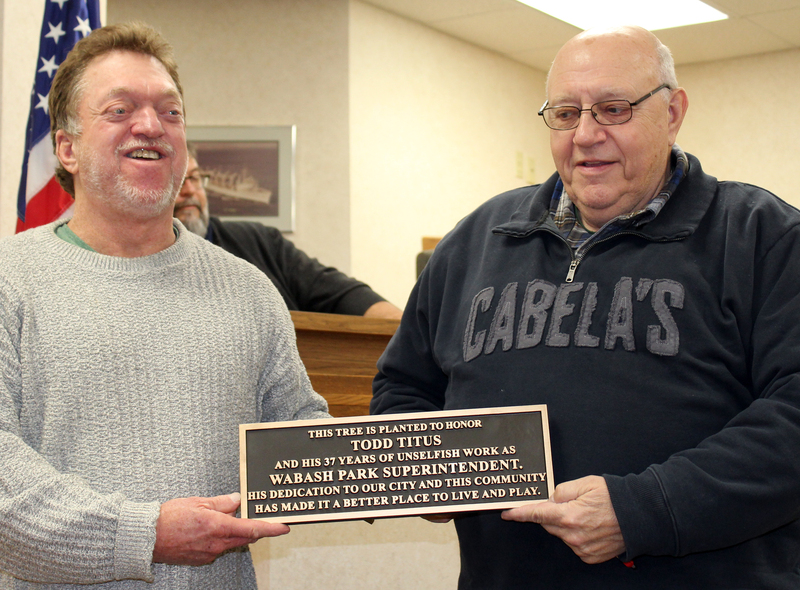 A longtime Wabash Park Board member was honored Wednesday night, Dec. 14, during his last meeting with the board. 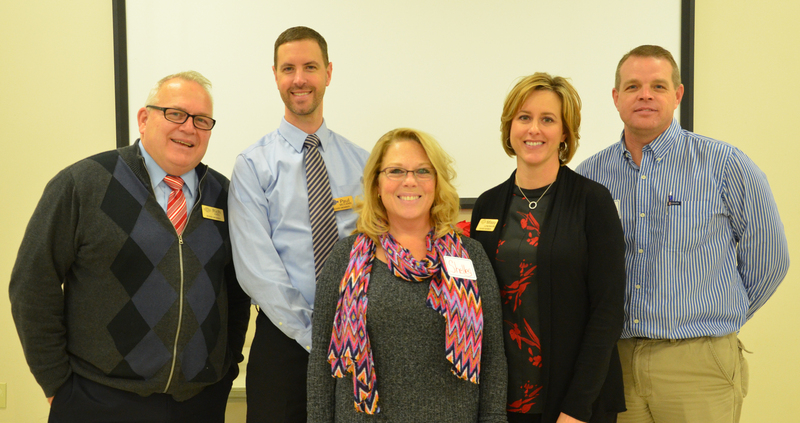 John Salb is leaving the board Dec. 31 after 32 years of service. Park Superintendent Adam Hall present Salb with a plaque which will be bolted to a bolder at the Paradise Spring Historic Park. Salb said he enjoyed his time on the board, and said he was fortunate to work with many good and caring board members, mayors and City Council members. The search for a new Wabash County Chamber of Commerce executive director has been put on hold and a new interim project manager is overseeing the organization’s duties in the meanwhile, according to Paul McCann, Chamber Board chair. In an unconventional ceremony, ground was broken Wednesday morning, Dec. 14, for the Rock City Loft project in downtown Wabash. Officials gathered around a wheelbarrow filled with sand and six shovels placed in the former Indiana Bureau of Motor Vehicles building on East Market Street for the ceremony. 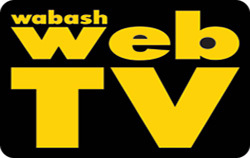 Mayor Scott Long, Keith Gillenwater, president and CEO of the Economic Development Group of Wabash County, and officials from several state-level organizations participated in the event. The Rock City Loft Project, part of the city’s Stellar Community Grant program, seeks to create 41 senior living apartments in the complex. The apartments, 25-45 E. Market St., will be available for local residents 55-years and older. The City of Wabash received a $1 million Community Crossing matching grant from the Indiana Department of Transportation. The money will be for roadwork on North Wabash Street near the site of the new Parkview Wabash Hospital. 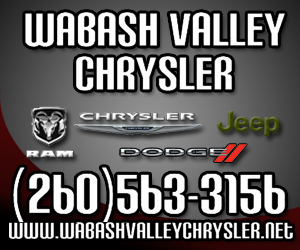 Mayor Scott Long told the Wabash City Council on Monday, Dec. 12, that the city expected to receive the funds on Dec. 13. Street Department Superintendent Scott Richardson wrote the grant on behalf of the city.